Franciscan friar Father Daniel Horan, a pro-LGBT priest and professor who will be speaking at the upcoming Los Angeles Religious Education Congress, took to Twitter this weekend to bash the March for Life and condemn without trial a group of white Catholic high school boys as “racists” for supposedly “taunting” a Native American man beating a drum. Father Horan was one of the many voices from the Catholic Left who joined the mainstream media lynching of students from Covington Catholic High School this weekend, rashly judging them as racists without bothering to ascertain what actually happened, simply because some of the boys were wearing MAGA hats. While the Jesuit-run America magazine claimed that a small group of Native American demonstrators had been “surrounded by a much larger band of teenagers” and that the boys had “heckled” and “mocked” elder Nathan Phillips, video footage told a different story. 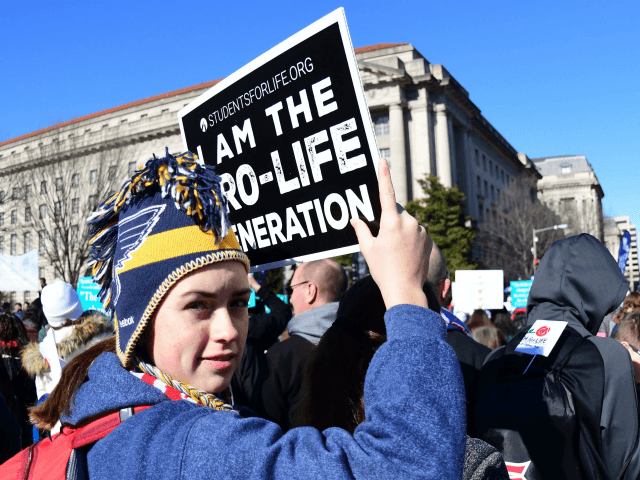 The perfect storm of white Catholic males wearing Make America Great Again hats and attending the March for Life to protest abortion was just too tempting for the mainstream media to pass up, even if the narrative was completely false. According to the Catechism of the Catholic Church, whoever “even tacitly, assumes as true, without sufficient foundation, the moral fault of a neighbor” is guilty of rash judgment, and whoever, “by remarks contrary to the truth, harms the reputation of others and gives occasion for false judgments concerning them” is guilty of calumny. Like many others on the left, Father Horan seemed convinced that the school boys must be racists because they were white and wore MAGA hats, and so the facts of the encounter were basically irrelevant. 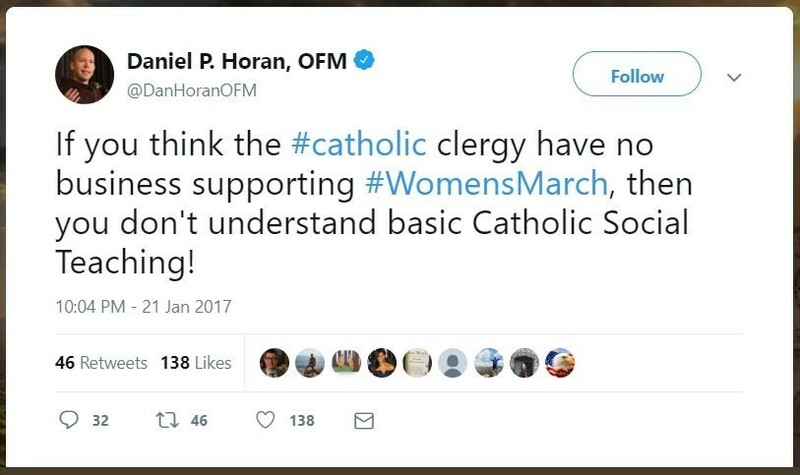 While vehemently anti-March for Life, Father Horan has praised the pro-abortion Women’s March as consistent with Catholic social teaching. The fact that pro-life women and organizations are not welcomed at the event seems not to bother his conscience in the slightest. He is also co-editor of New Theology Review.